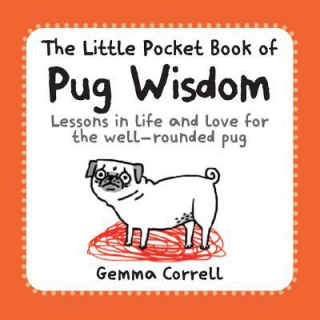 Little Pocket Book Of Pug Wisdom : Lessons In Life And Love For The Well-rounded Pug - ubiq bookshop: the best place to buy books! Life for a pug can be confusing. On the one hand, people stop in the street and squeal at the cuteness of your appearance, but on the other people don't take too kindly to your desire to lick yourself in public. So how does today's pug learn to navigate through the pitfalls of the modern world? With The Little Pocket Book of Pug Wisdom of course! Divided into two sections, this hilarious guide will teach a pug everything he or she needs to know about life, love and everything in between - whether that's how to greet strangers or prepare the perfect meal.